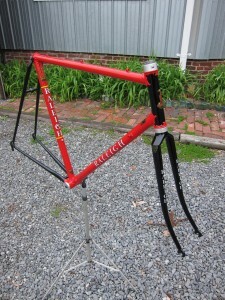 It has been some time since I’ve built a single speed so Steve’s bike was a fun project for me. This one is going to a former Rhode Islander now residing in southern California. 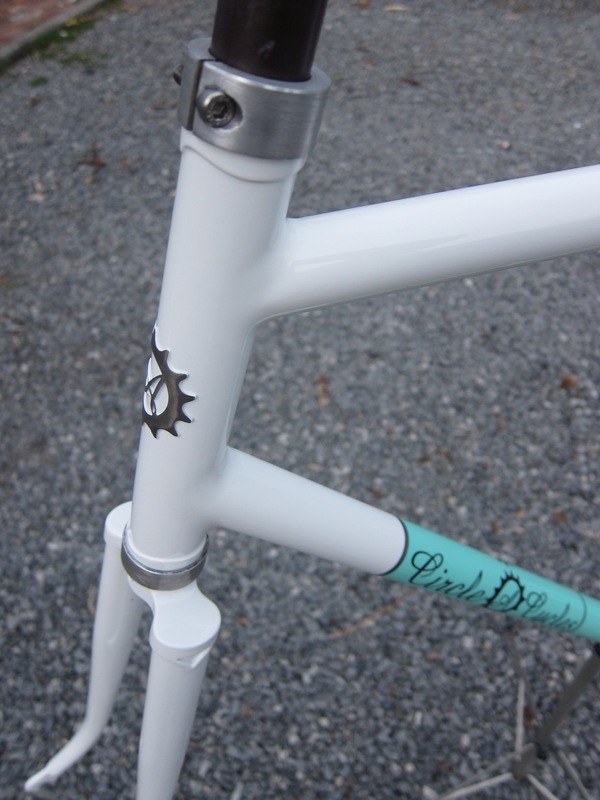 It went there as a complete bike and I’ll have those pictures next posting. 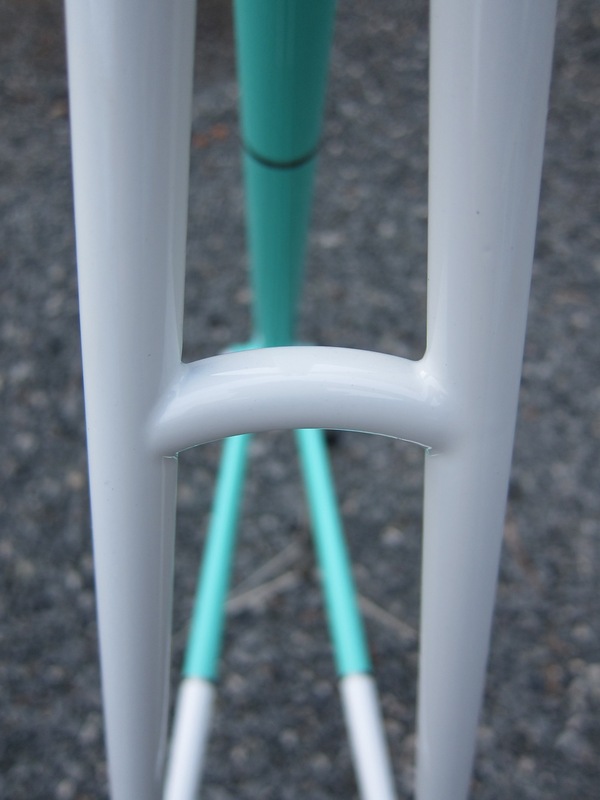 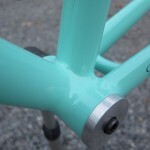 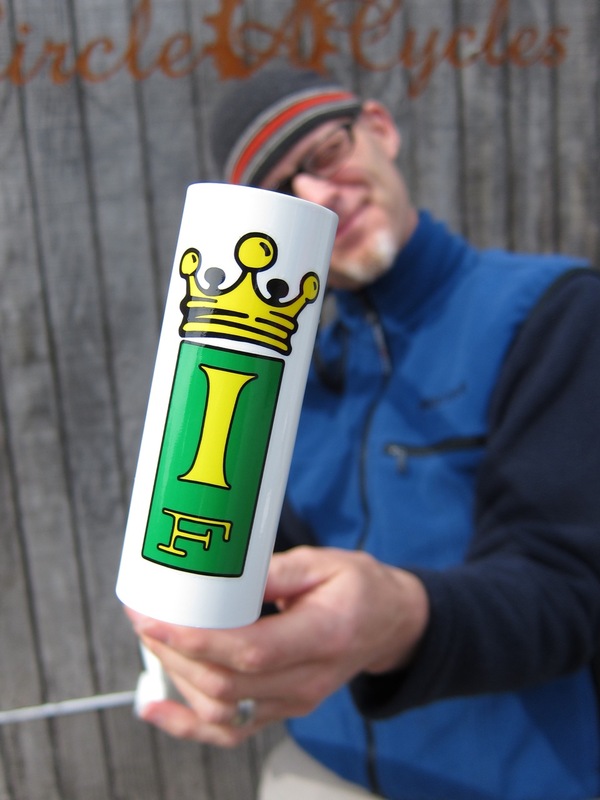 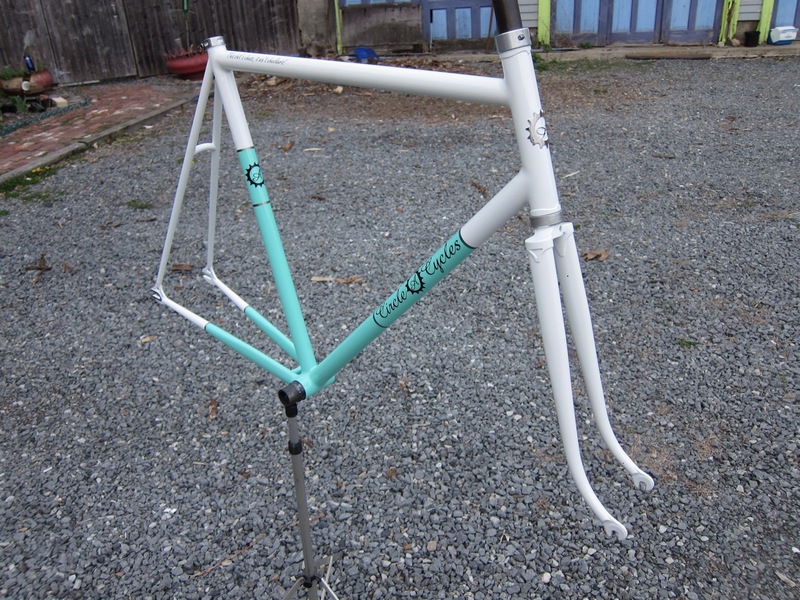 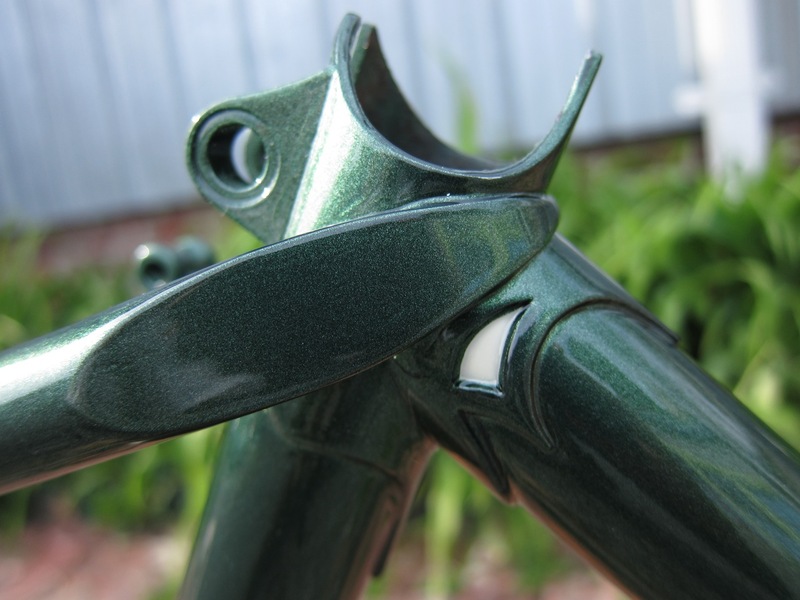 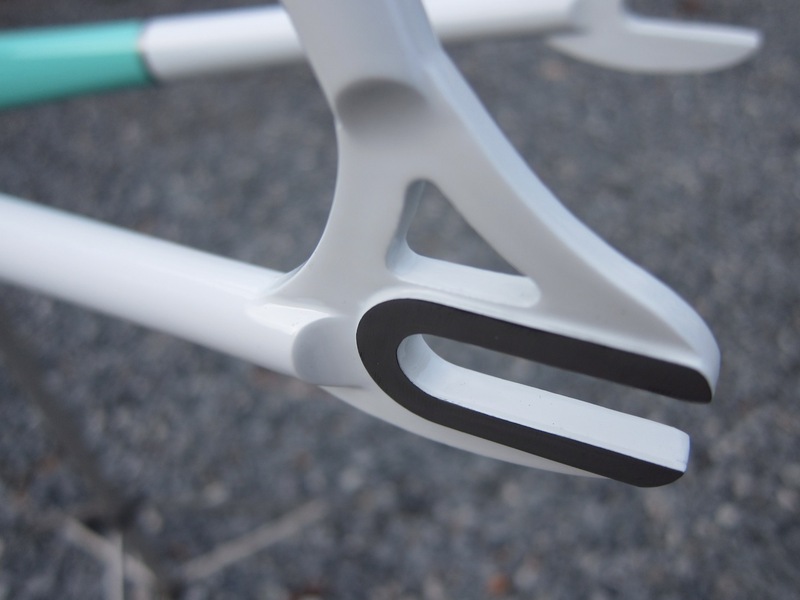 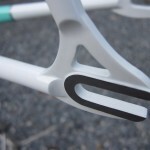 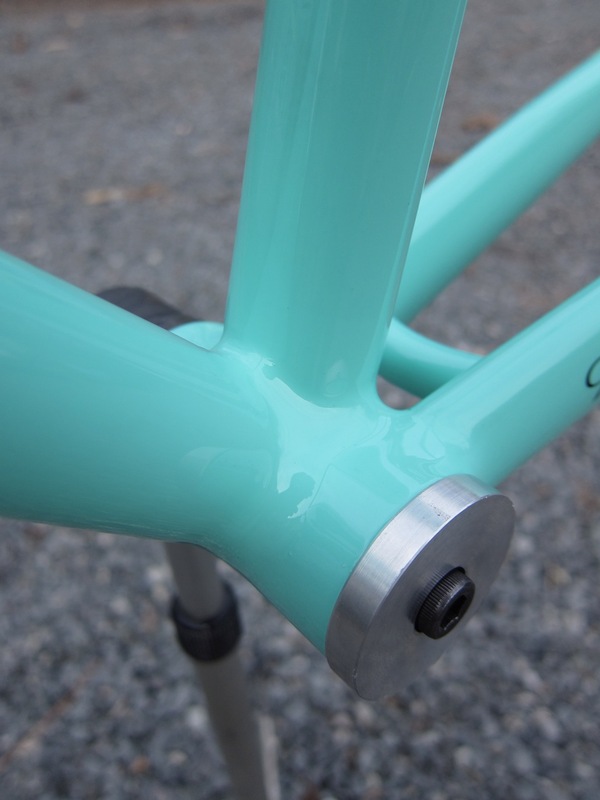 It’s built out of Dedacciai Zero Uno tubing with a white/celeste green paint scheme. 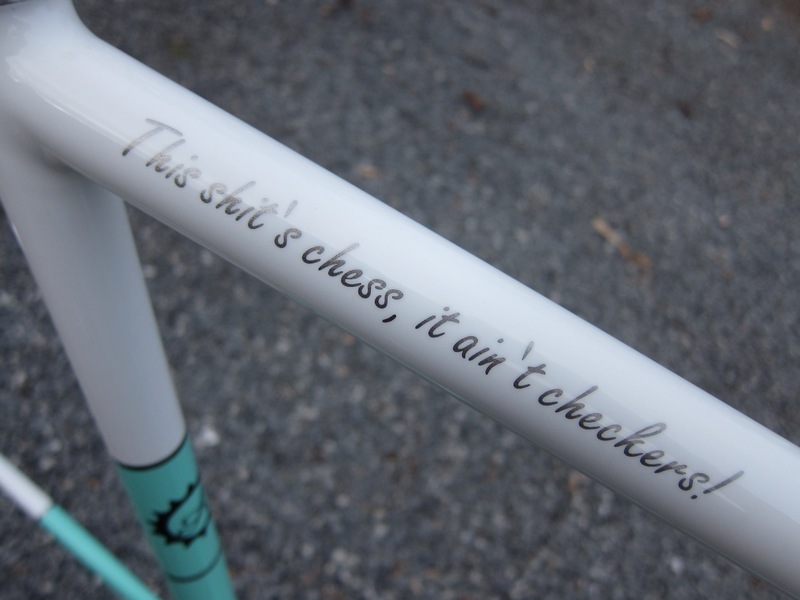 The quote on the top tube is pretty awesome. 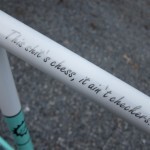 Clearly Steve means business. 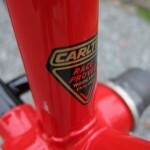 Steve’s (another Steve) 1973 Raleigh Record Ace came into the shop with the Raleigh Racing USA paint scheme. 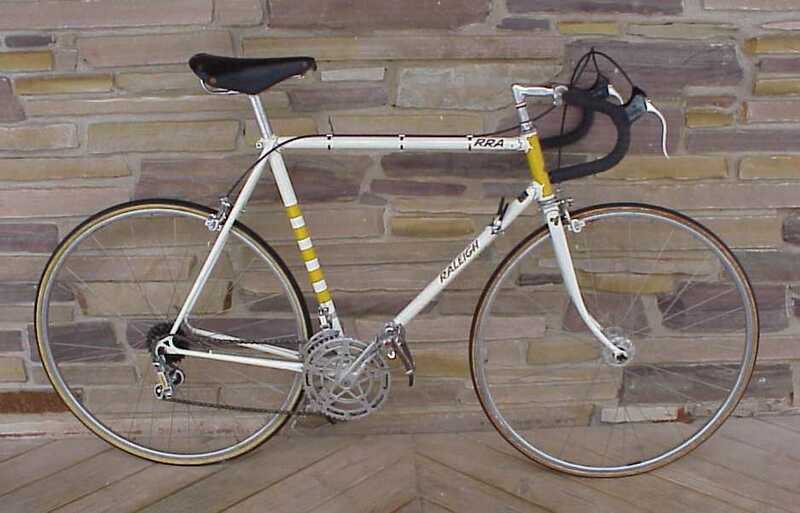 Originally this bike would have been a white main frame with a yellow head tube and stripes on the seat tube. 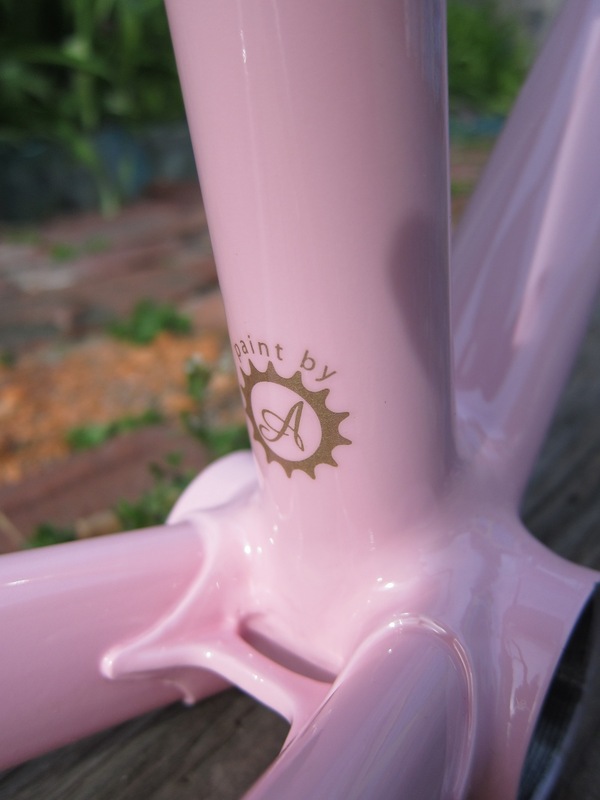 Someone in Iowa had already done some modifications and had it repainted and repaired. 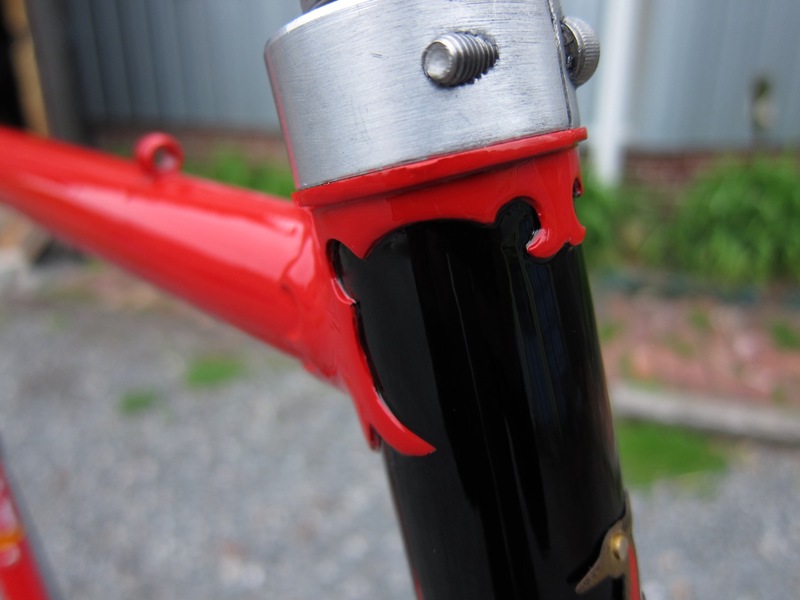 The original Record Ace fork was replaced with another Raleigh fork. 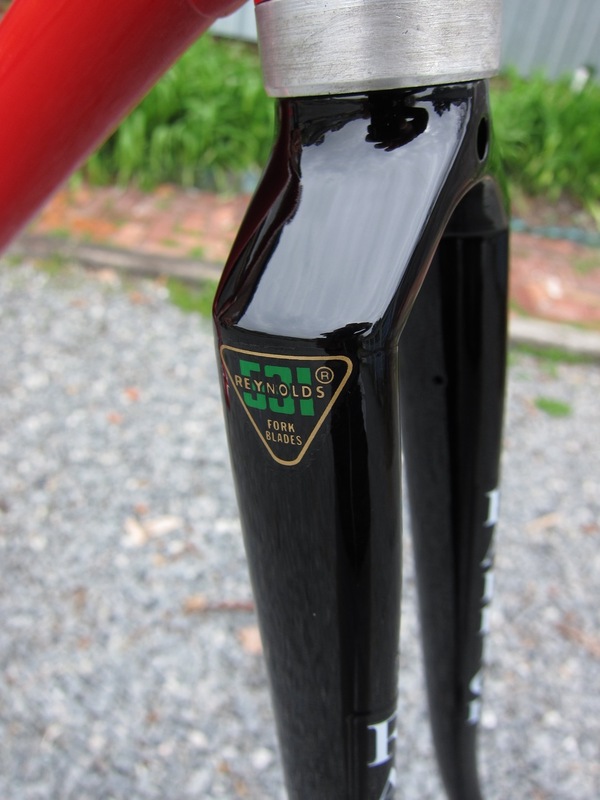 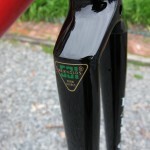 The original Stronglight components had been replaced with Campagnolo as well. 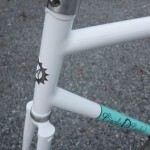 The frame was definitely worth keeping on the road so Steve had me paint it in the color scheme that he got it with but with a black head tube. 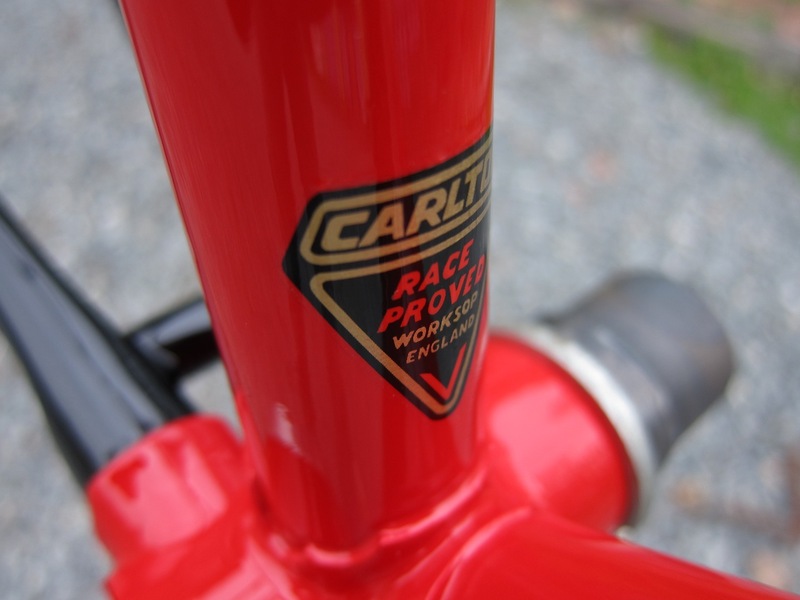 The Reynolds 531 and Carlton decals that came on the 1973 RRA are on there for accurate ID but the other decals are very much Raleigh USA style. 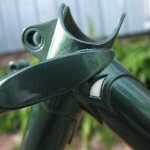 Complete bike pics to follow. 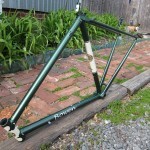 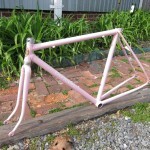 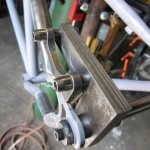 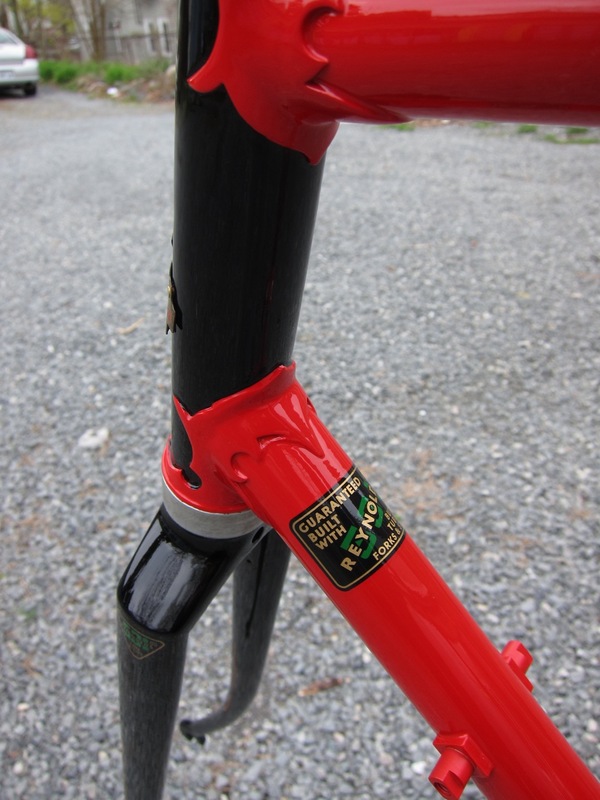 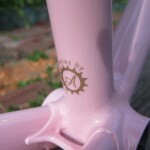 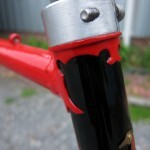 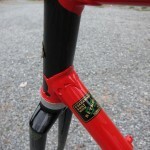 I’ve become very familiar with Bobby Earle’s IF MTB frame. 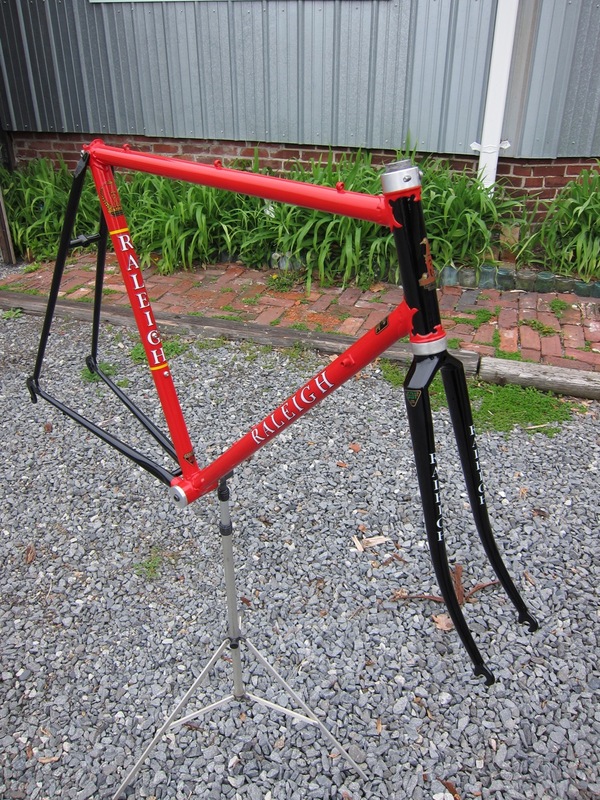 Originally I modified it to run 650B wheels and cantilever brakes. 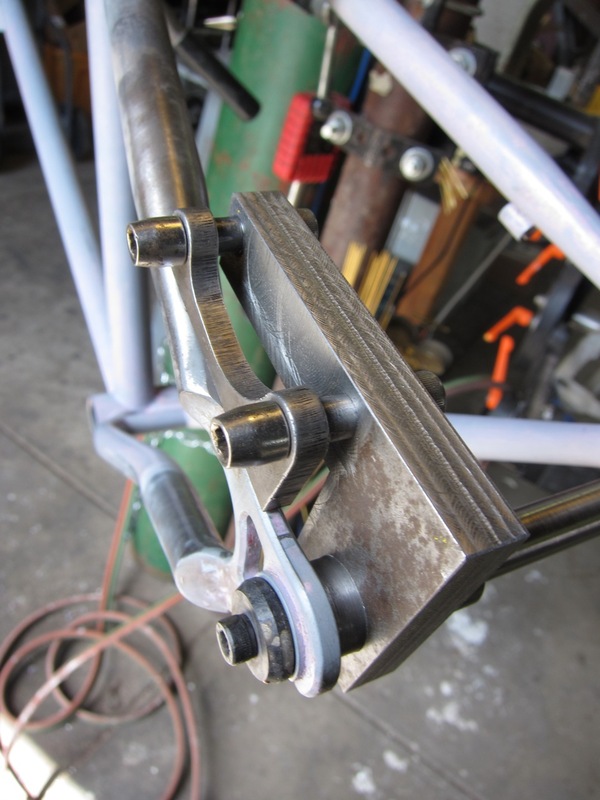 This time around I put on a disc brake mount, added a brace between the stays, and removed the canti posts. 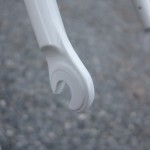 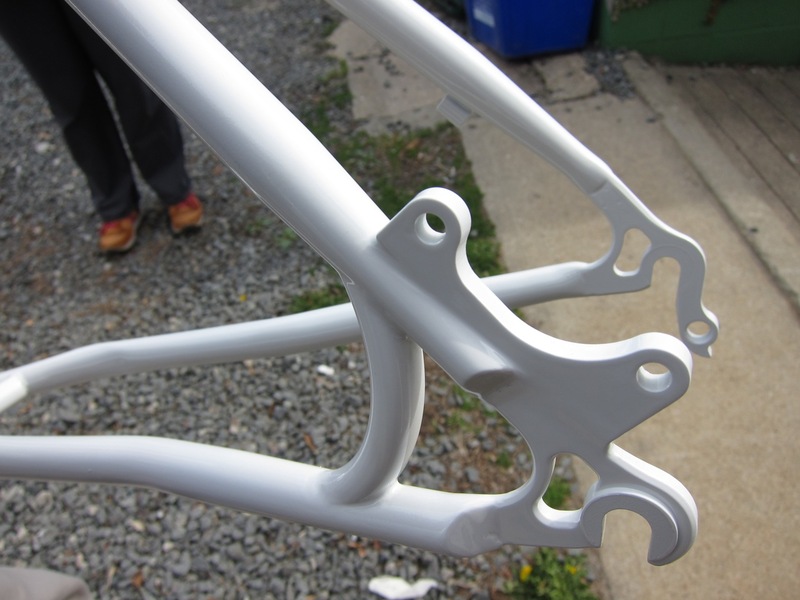 The bike got a straight white paint job and it being built up with some of the nicest components out there! 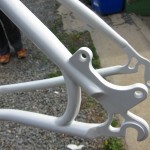 And it’s hard to stay out of the paint booth in these parts. 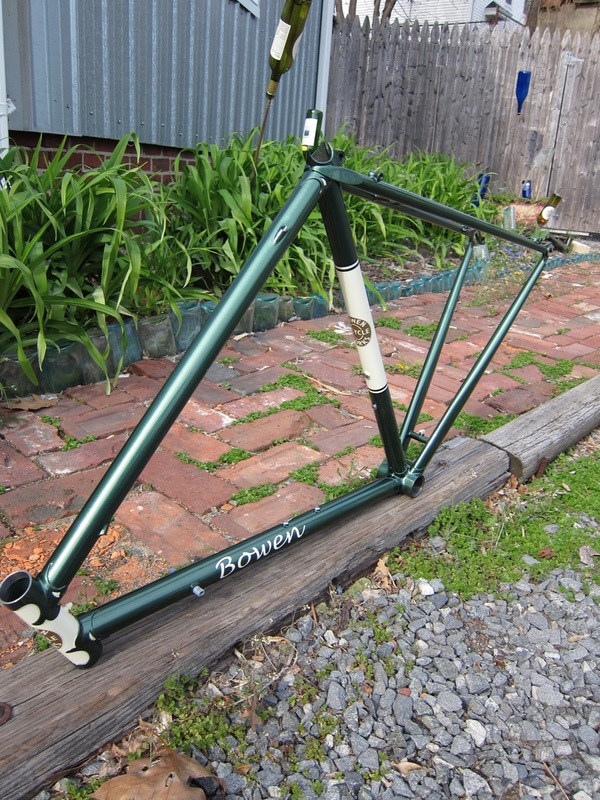 Here are a couple of Bowen’s that I finished up a bit ago. 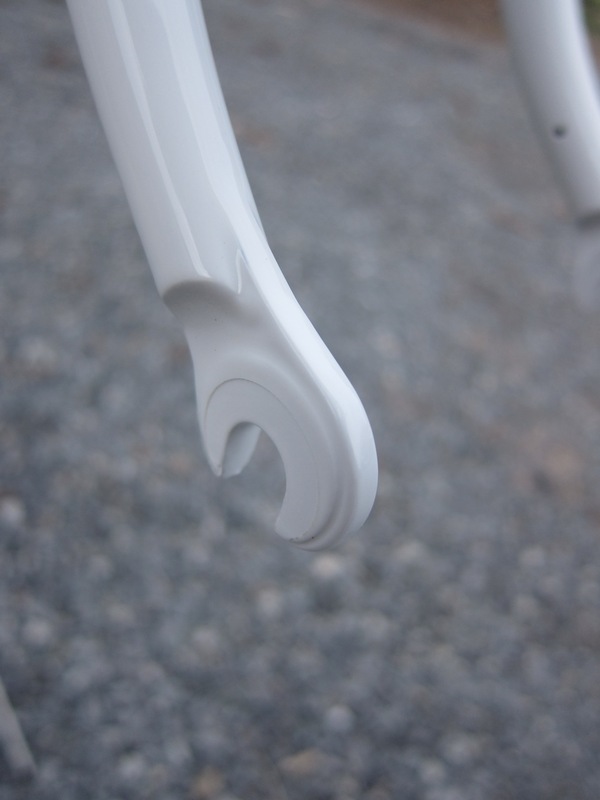 One full paint job and one touch up. 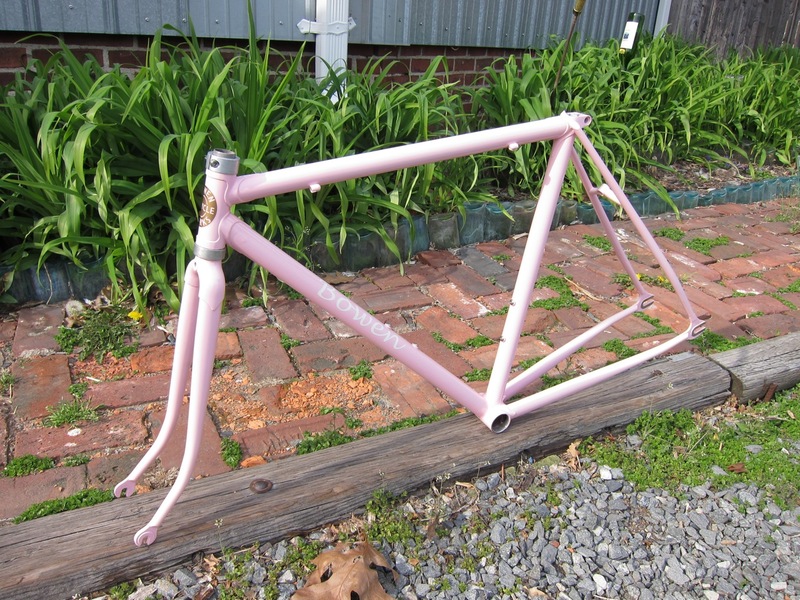 Coming up next is Brian’s (not me) single speed with monostay, more restorations, more paint, more repairs, and hopefully more riding for me.